I am a self confessed perfectionist, addicted to iced coffee and creating, and I wish life was a musical. Many of the more " ;punny" designs are inspired by my hilarious husband, friends and family. I live in beautiful Brisbane, Australia. 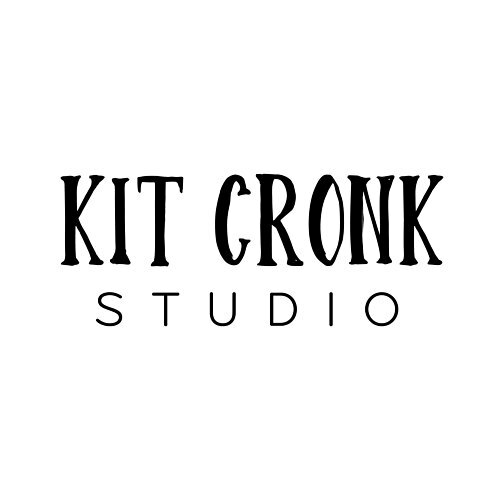 Kit Cronk has made an exclusive discount code available which will be valid for 10% off. This discount code will stay active till September 8th. 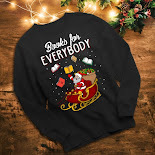 The code for your discount is LOVEBOOKS. My name is Kit (actually, it’s Kateena, but only my parents call me that). I was named after two characters from the Phantom comics, so it’s not surprising that I grew up to be ridiculously nerdy. 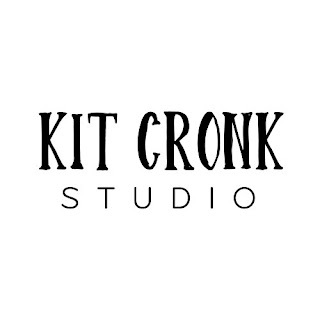 I’m a total reading addict, and after leaving my corporate job to become a Graphic Designer, I ended up merging my loves of reading and lettering to create my business, Kit Cronk Studio. 2) What’s the inspiration behind your work? 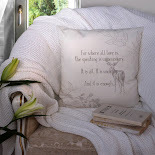 I take a lot of inspiration from my inner child… I’ve always adored fairytales, so they often influence my work. I keep a Pinterest board of interesting book covers, which I often refer to if I’m stuck in a creative rut. I’m also a huge fan of illustrative letterers like Risa Rodil, Mary Kate McDevitt, Lauren Hom, and Becca Cahan. 3) Where did you learn how to design? I started lettering with just some pens and paper while on a holiday in New Zealand - all my best ideas come to me when I’m on holidays. It’s when my brain is most clear. Eventually, I decided I enjoyed it enough to get some training in Graphic Design. I studied a 3 month course at Shillington College in Brisbane. I HIGHLY recommend Shillington to anyone looking to start a career in Graphic Design. 4) What does your work place look like? I work from home in a little sunroom – My desk is my parent’s first dining table! I sanded it back and painted it in a mural of blue colours, then added some shimmery paints before sealing it. I absolutely love it. My most recent acquisition is a mousepad that looks like a mini Persian rug. It’s adorable. All crammed into a little space I have: My desk with space for my laptop + monitor + iPad stand (for playing Spotify and podcasts all day! ), my little printer which helps me manufacture my cards and prints, all my packing materials, a cupboard full of miscellaneous craft items, and a small stash of my products. 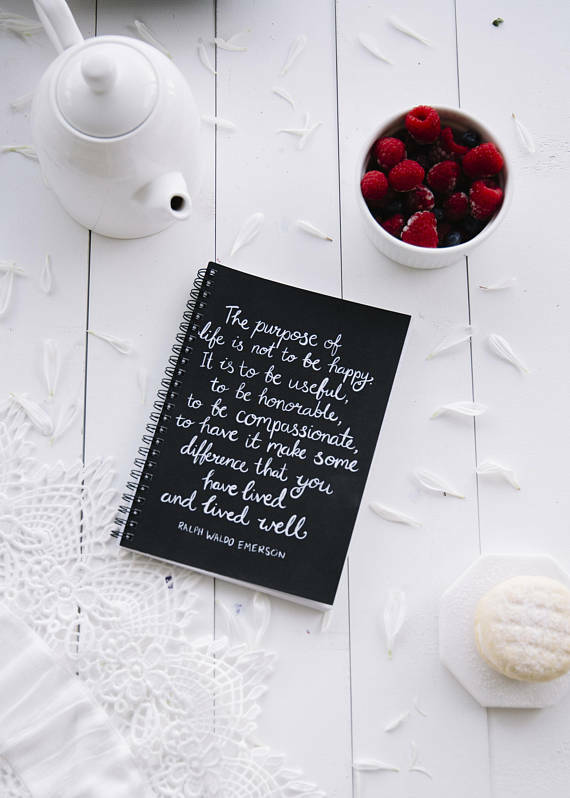 5) You use a lot of quotes, how does a quote end up on your products? Most of my quotes are just things I come up with that I think are hilariously relatable as a book nerd… I keep a list of them in Trello (which is where I organise my business), and refer back to it whenever I have time to create a new design. 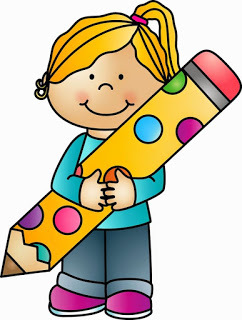 6) Where does your love for books come from? I’ve been in love with books for as long as I can remember. For a few years in primary school, we lived out in the country on a lot of land and didn’t have a TV. Books were my main source of entertainment. We went to the library every week to pick up new books… I think I read just about the entire kids section. Twice. Making friends at that age was always a struggle for me, too, so I spent most of my lunch breaks hanging out in the library by myself. But I never felt all that lonely… I had adventures to go on, new lands to explore, and characters to meet. 7) One of your wishes is that life would be a musical. What's your favorite musical and why? My life practically IS a musical… I frequently burst into song or have impromptu dance parties in my living room. The first “real” musical I ever saw was Wicked, and it’s still my favourite stage musical. I’ve seen it three times, and it’s always entertaining. The plot, songs, and stage production are all equally fantastic, and that’s quite rare. 8) Can you tell a bit more about how you started your store? 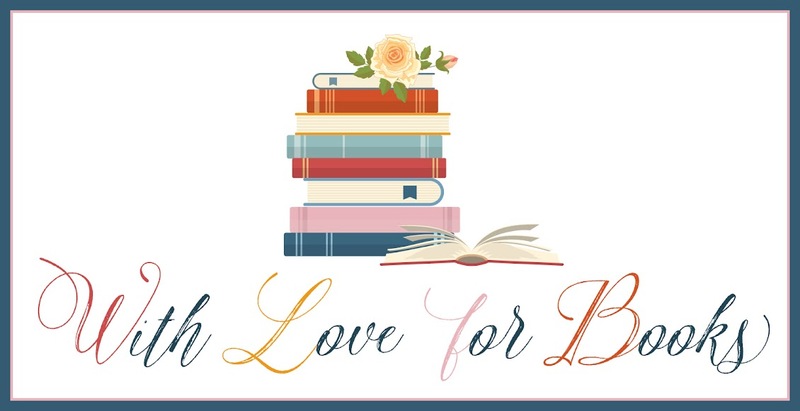 Originally I didn’t have a bookish focus… I was just lettering anything that came to mind (think “Live, Laugh, Love”). I had everything from bible verses to famous quotes, and sarcastic greeting cards. 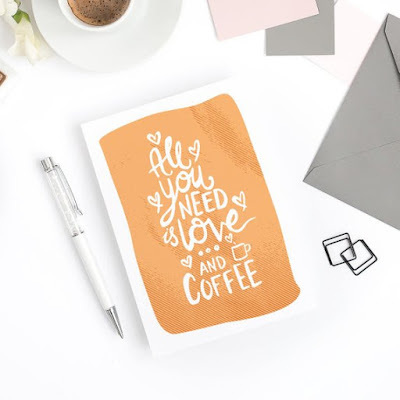 As I kept practicing and honing my technical lettering skills, I started to realise that I had to find a smaller niche for my products. It took me an embarrassingly long time to figure out (while on another holiday!) that book nerdy things were where I needed to be. I have a never-ending love of books, which is pretty easy to translate into working. Once that decision was made, things started to flow more easily. I launched a range of mugs, then wooden pins. 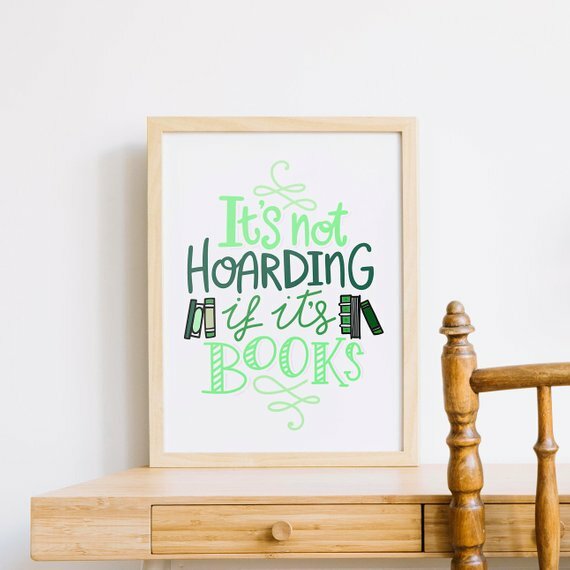 I’ve been progressively adding more “giftware” to my store than having just cards and prints. 9) What do you like the most about having your own shop? The flexibility of this lifestyle is a huge bonus for me. I’ve had the time to exercise regularly, manage my diet, and prioritise self care. 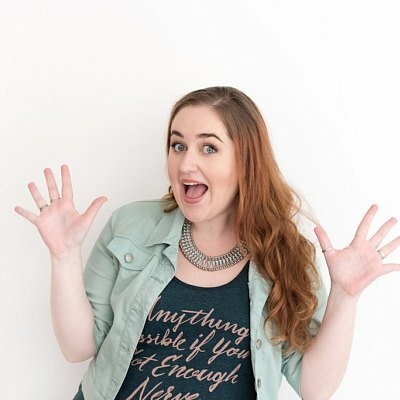 I’ve really enjoyed networking within the online communities of entrepreneurs. The facebook group Think Creative Collective (https://www.facebook.com/groups/thinkcreativecollective/ ) is one of my favourite places to hang out, and I’ve made some seriously awesome friends from all over the world. I’ve also had wonderful feedback from my customers, thanking me for giving them a place to fangirl without judgement, and own their nerdiness. That means the world to me, because I myself struggled with expressing my nerdiness as I’ve “grown up”. 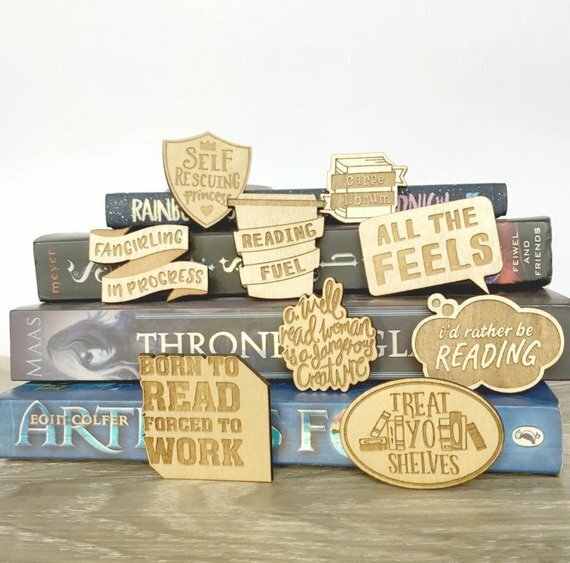 Definitely continuing to make more bookish designs and rep the book nerd community… I have an awesome collaboration with Sarsparilly (https://sarsparilly.com/) coming up, and I’m always on the lookout for opportunities to work with book subscription boxes and other nerdy businesses. I’m also planning on developing a larger range of fabric patterns for sale over on Spoonflower! 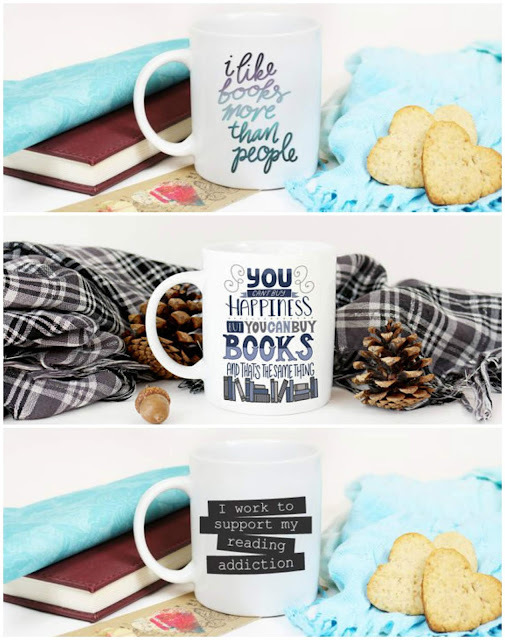 One very lucky reader of With Love for Books will receive a mug with a design of choice from Kit Cronk Studio. The quality and design look amazing. Unique, fun and lovely colours too. 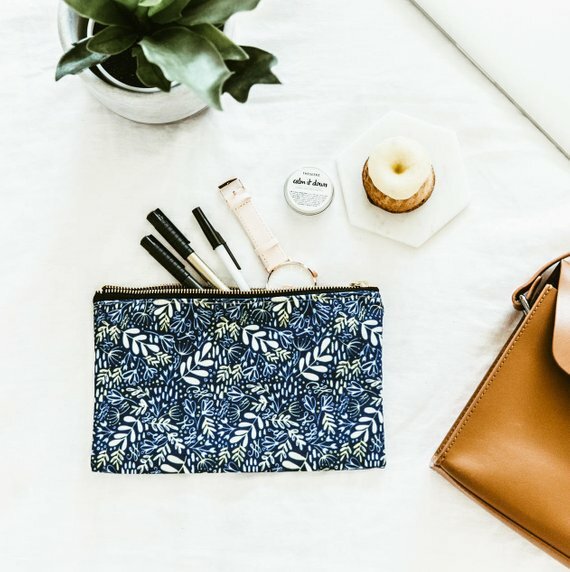 I love your Etsy shop! Everything is gorgeous! What a gorgeous shop! Sharing on my socials!! I love the shop so much! Love your designs, very creative! 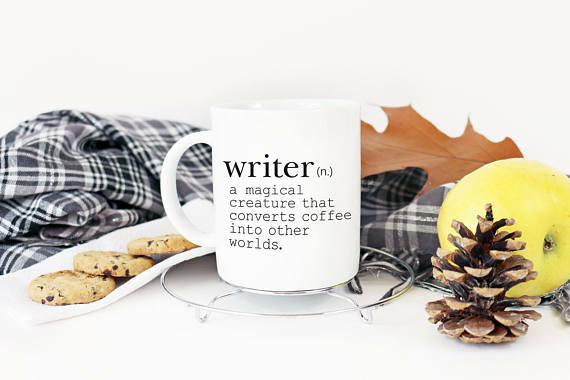 I soooo need a cool mug, and I adore yours! I am a high lady! I especially like your mugs, great ideas on your website. Lots of interesting gift ideas! I'm loving everything I see. That's so lovely to hear, thank you!! Kit, Your designs are creative and adorable! 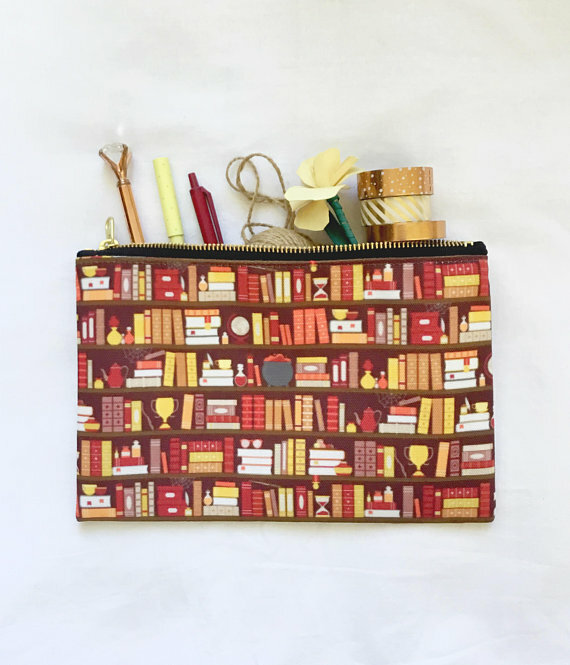 I especially love the notebooks from this shop. I love this merchandise, especially the black notebook. Lots of great stuff. Like the mugs. I love your store, I would fill my house with your mugs if I could! 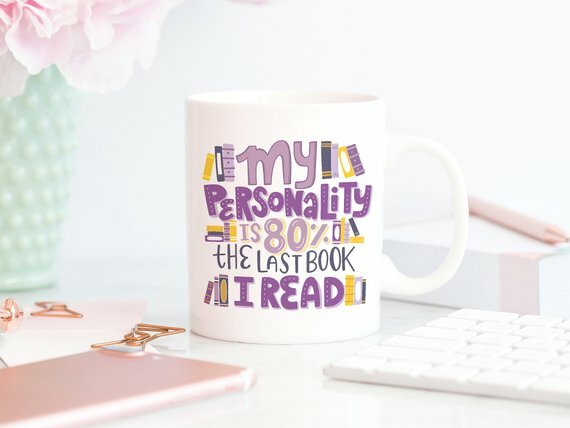 I would love all of the mugs! Your work is unique and beautiful. I love your shop.Superb, unique and beautiful stuff! Everything is just all so gorgeous in your great Etsy shop! I love you stuff and there is so many thing I wish I could afford. 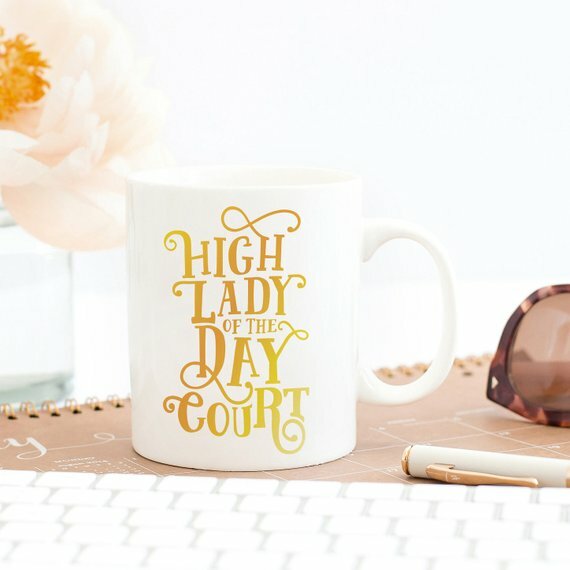 I love the lettering on the mugs and frames!